Forbes magazine recently published an opinion piece by an economics professor who feels that public libraries across the country should be replaced by Amazon stores. The premise that public library services have effectually already been replaced by private companies’ offerings reveals both his privilege and ignorance. His article was a shallow dismissal of a crucial public institution, and is perhaps symptomatic of a more widespread undervaluing of libraries and librarians. Librarians are chronically underpaid (like people in other “feminized” professions, such as social workers, teachers, etc. )—especially considering the fact that the profession requires a Master’s degree for entry. Not unexpectedly, librarian salary data reflects the gendered and racial wage gaps that are pervasive throughout society in the U.S. The Bureau of Labor Statistics salary data for librarians in 2016 show that women librarians earn only 87% of what their male counterparts earn, and librarians of color earn less than Caucasian librarians (but non-white men still out-earn non-white women). There is clearly a correlation between the rampant misogyny in American society and the low status of the library profession, which, despite being a “feminized” field, is male-dominated in organizational control. Research shows that although the stereotype of the librarian is female, managerial posts are overwhelmingly considered masculine. While the more prestigious (and higher-paying) library positions are disproportionately held by men, not only are women the bulk of the workforce, but the average library worker is Caucasian. This is just one reason why it is encouraging and important to see women of color represented in leadership positions in the profession, which has happened twice recently. Last year Dr. Carla Hayden became the first woman, first person of color, and first librarian to serve as Librarian of Congress, in the national library’s 217-year history. 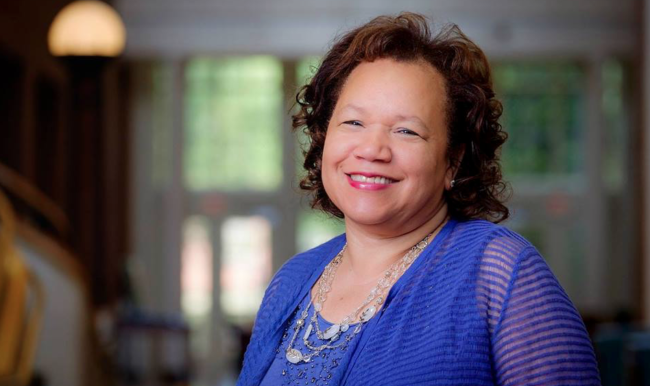 This year brought more good news for the library leadership world: the American Library Association (ALA) announced in April that Wanda Brown is the 136th ALA President elect. She will serve in that capacity for one year, and then assume her role as President at the close of the 2019 ALA Annual Conference (June 20-25) in Washington, D.C. The oldest and largest library association in the world, ALA’s mission is “To provide leadership for the development, promotion, and improvement of library and information services and the profession of librarianship in order to enhance learning and ensure access to information for all.” Although diversity has been one of their priorities for the past two decades, of the 136 ALA presidents so far, 76 (~56%) have been men—not outrageous, but still a far cry from equitable representation when three quarters of the workforce are women. Of the 18 photos on their “Past Presidents” page, only two or three are visibly identifiable as non-white (one of them is Dr. Hayden). Currently the Director of Library Services at the C.G. O’Kelly Library at Winston-Salem State University, Brown has had an impressive career. An ALA member for three decades, she has held multiple leadership positions in the Association of College and Research Libraries (ACRL); the Association for Libraries Collections & Technical Services (ALCTS);the Library Leadership and Management Association (LLAMA); the Black Caucus of the American Library Association (BCALA); and the North Carolina Library Association. She is the recipient of numerous awards, including the DEMCO/ALA Black Caucus Award for Excellence, the 2013 BCALA Leadership Award, and the 2012 BCALA Distinguished Service Award, among others. 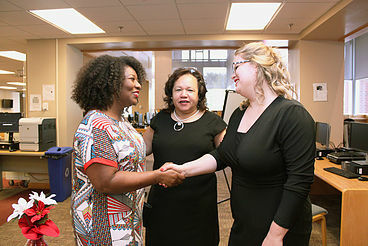 In her campaign for the ALA presidency, Brown espoused her commitment to improving the lives of those around her, and specifically to strengthen efforts to improve diversity in the library profession. “My professional career successes have demonstrated that hard work and inclusiveness of others can bring forth opportunities and help develop relationships, beyond routine considerations,” her website states. 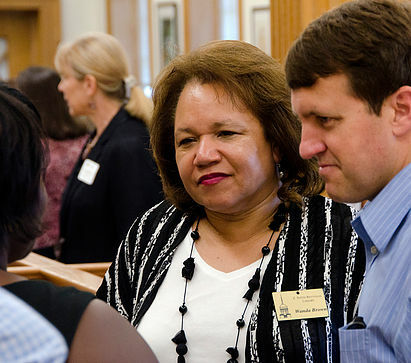 We look forward to what that might produce in her new role as leader of the ALA.